I have. In many respects Fibaro for example is far superior (reliability, built-in apps for heating, alarms, restricted user access, etc.). Sure the UI isn’t as pretty, but at least it works. However, my observation has nothing to do with home automation competition - it’s relative to normal human beings at home that have some familiarity with consumer applications. Your reference to “tech-impaired people” made me belly laugh! - that is exactly the kind of attitude that allows such poor design to persist and keep products from being successful at scale. But that’s not a fair comparison. I’m very sure that nobody would say that dairy herding is a high-tech job, or only for the tech-enthousiasts, but you can make it much more technologically complex than the standard herder 10 years ago if you want to (http://www.scrdairy.com/). Discover the latest features and innovations available in the Samsung SmartThings Hub (2018). 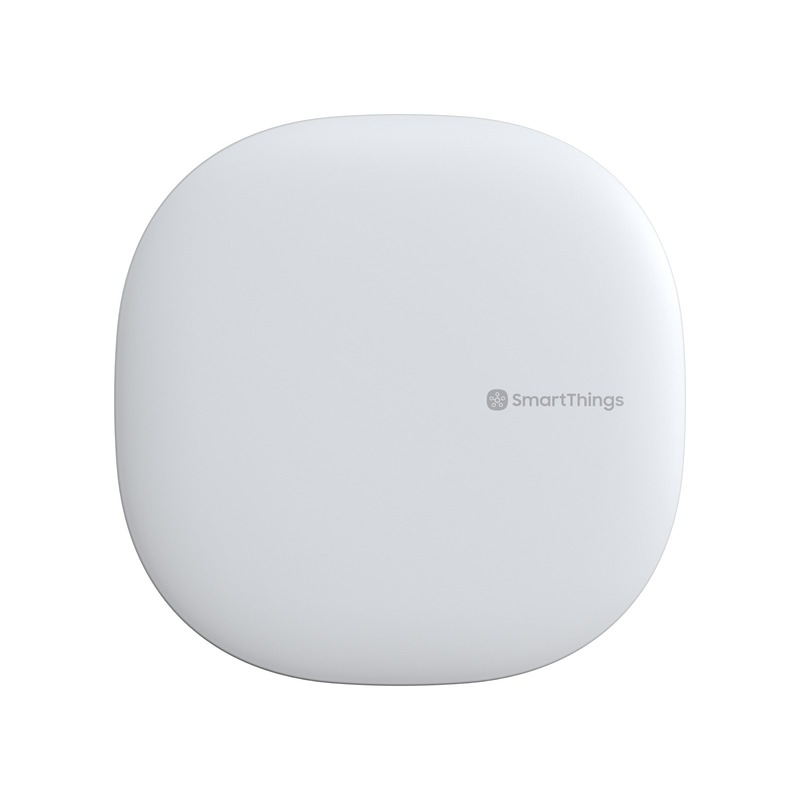 Find the perfect SmartThings for you! $70, supports Zigbee and Z-Wave, has a nice-looking dashboard, has an automations UI, and has a well-enough API so that third-parties can provide a full browser-based automations interface too. Same here, it’s cheap enough! Looking into this as well but you might want to go for a cheaper 2nd generation if you dont need wifi and the supposedly better range of the 3rd gen. The 3rd gen has a lower CPU of 500 MHz (vs 1 GHz for V2) and lower RAM is 256 MiB (vs 512 MiB for V2). According to Samsung this should not matter but I’m sure they thought the same thing at Athom at some point. Smart things, wink, Vera, home center are the main competitors. Not home assistant or openhab. You have to add shipping and vat to the pricepoint. Becausr it does not sell in europe. The common demeanor in the reviews is: not quite ready for primetime. Add that to the Samsung experience. And yet still tempting, Just for fun. I regret not checking the community first because i decided a long time ago (before people got notice of changes that where coming) to buy a Homey so i still was assuming i would have the same functionality from back then more or less improved since it was a 2nd Gen Homey. I bought my Homey last friday and was spending my whole saturday on figuring out how to obtain a desktop app and get the voice control working (which both obviously has been discontinued after spending some time here). Can you imagine me yelling “Ok Homey…” whole afternoon without zero result? Clearly all the changes, which created a big fuzz, are partly some kind of strategic commercial move to reach a bigger audience. But as some kind of noob, starting this way with Homey i do think Athom clearly is missing some correct guidance for new users. If i perhaps missed some details where to get more info then please let me know. I understand your feeling completely. To answer above question: This card also works if the speech is handled by a Google Home or a similar device that can work together with Homey. Is there any future in Homey integration with Homekit making Siri usefull for voice commands? I saw an option under ‘Experimental’ in the general settings menu. The Chat function in the App, also “talks” to the voice command input. Im on the highway for another solution than Homey, Im concerned of the silence from the guys at Athom…you never hear anything from them, other than there positive things on facebook and there monthly news, for me it is a concern. You only hear from the moderators of the forum, and a BIG respect for them, those guys are on a difficult mission. The same experience I have also made with version 2.0. The new „Flow“-Concept is definitely a step backward. moving or sorting the Flows does not work. @Athom App Developers: please enable the Editing of the Flows on the PC and ensure, that the Flow on the mobile devices are protected to avoid troubles and unnecessary work. Thanks for the compliments to the moderators! They communicate and react on the worries exposed here in there monthly blog behind the magic. But I understand they only react there once and in general while there have been many users / owners reacting here all with there own personal feeling and frustrations where there is or was just one answer. Although we (in this case me personal vs Athom or one of the employees) don’t agree we can discuss things and in some cases I could convince them and see the results in the final firmware or apps as users get them now. I hope you will find some system that suits you and gives enough satisfaction as this should be fun to do, not something that bothers you. I don’t think anyone is expecting them to monitor this forum 24/7 and provide solutions for all of the questions here BUT participating a little, maybe 30 minutes a day, in certain topics like the current beta program, or pressing issues would make people feel being part of the development. That was nice 3 years ago when 500 - 1000 Homeys where produced and the ~ 100 active Backers had every day contact on the Forum and Slack. Even the Moderators didn’t get an official statement on the rumors about removed NFC and Mic. the day before the release. If you have an urgent question that can’t be answered here just user the only official channel and make an support request and share your info. I am sure Athom does it’s best and even more to make Homey an even bigger success than it already is! And they absolutely want to do that with the community as that helps them a lot! I do know this a third party developers apps, but I have to see it as one unit, and if it wasen´t for the third party developers, there wouldn´t be a Homey anymore! And this is where I as a customer comes in, cause when I read what both you a moderators and the developers kicks in with you are reporting back to Athom, and nothing happens, and nothing is published from Athom other than positive things, I get concerned. I did pay a good amount of money, and I do have some buyers right accordingly to EU laws. 28-01-201: Issues with Zigbee mesh, we looking into it and trying to find a solution. In this way, users can see something happen, and know Athom has reconized it, this is the way other companies are doing it. Thats good news and I an in no doubt you and the other moderators are also trying to push to Athom, but information should not come from the moderators, it has to come from Athom. And this is great they listen, thats a positive thing to hear.